Who knew such a simply thing would bring joy… Christmas lights hung around my whiteboards. The oooo’s and aahhh’s brought smiles as students stepped into our room. Festive was one description. One student even shared they were having a bad morning until they saw the lights. Sometimes we just need to pause and take in the simple things. Share a smile, an encouraging word. We just need to pause and take a moment to see the goodness around us. I’ve done similar things with mistake game, my favorite no, discussing our wrong answer analysis as small groups/whole class. But maybe our next MC Monday will be this format. There should be no green when we review our responses with Plickers. I remember a discussion once with a colleague who told me that focusing on the wrong response would only confuse students. I respectfully disagree. I’ve seen how having students compare responses, similar/different allows them to develop understanding of the structure of expressions. I believe that this process and follow up discussion/students sharing why their response is wrong will allow them eliminate answers, which is a test taking skill. I believe it allows them room to take a risk and actually engage with the question. If you have experience or suggestions, even links to research to support or otherwise, please share. I look forward to seeing how this goes. 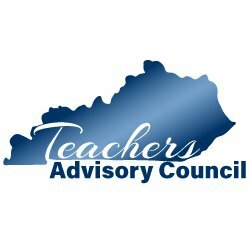 I had the privelege to attend the Kentucky Teacher Advisory Council meeting today. I leave these meetings in awe of the ideas colleagues share, amazed at the things they’re doing in their classrooms and districts. Today I felt guilty. Not that I didn’t belong, but that I have not lived up to the expectation I set for my own students. I have withered back, let someone silence my voice. I have failed my school, my colleagues, my students by not being my best. I’ve become something I despise. Complacent. Mediocre. Tomorrow I will begin my journey back.